If you’ve read some of my previous Man Vs. Debt posts, maybe you know that my background is NOT in personal finance. I’m a writer, first and foremost, and my experience comes mainly through 13 years as a professional journalist. One of the absolute best parts of journalism for me is that everyone has a story – an experience, a personal philosophy or a unique quality or accomplishment that could help someone else change their way of thinking. With that in mind, one of my goals on Man Vs. Debt is to share more of our community’s stories. I know, Baker, Courtney and I are hands-down the three most interesting people you’ll ever meet, right? HA. We’re not quite that cool, and our experiences are just that – our experiences. There are more stories to tell. There are more experiences to share. Today, I’m kicking off what I hope will be an occasional series of informal interviews with Man Vs. Debt community members by talking with Spencer and Laura Hanson. They blog at Lost and Found Family, and are part of the Man Vs. Debt Facebook community, where I originally heard about their amazing lifestyle! They’re also great videographers, so I’ve interspersed some videos of their family SHOWING their new life as they tell about it. Tell us a little about who you guys are. Spencer: I am 30, Laura is 28, Zack is 4.5, and Austin in 3 years old. We hoped that life might have more to offer than a job and a house, so we decided to go searching for it. So start with the “before picture.” A year or two ago, what were you all doing, how were you feeling, and just generally what was your life like? Spencer: I started fresh out of BYU in June 2007 working as a mechanical engineer for Hewlett Packard designing industrial printers. I had worked my entire life to get to that point, studying and worrying long hours, even in elementary school, to win those perfect report cards that would be my tickets to my big career and happy life. The first couple of years working as an engineer were good. I enjoyed the creative process, the challenge of a difficult problem, and the satisfaction of a design well-done. But things at work changed, and I changed, and the thrill faded. By the end of my 3rd year I felt like I was watching a depressing drama of myself squander my life away. I wanted to make a meaningful difference. I wanted more precious hours with my precious wife and boys. The life I had worked so hard to get seemed to be more a trap than a party. Laura: In some ways my life seemed nearly perfect. I had a great husband with a well-paying job, two beautiful little boys whom I had the privilege of devoting all my time to raising, and a house I loved in San Diego county. At the same time, our lifestyle demanded a lot from us, particularly from Spencer. He worked all week long while the boys and I played, and a large portion of our family time was spent improving the house and yard. I enjoyed creating a garden and orchard but had a tough time keeping up with the gophers and crabgrass. For the most part I was happy, but that happiness was incomplete because Spencer missed out on so much of it. It was also a pretty selfish kind of happiness. I believe in the value of my role as a mother, but sometimes I thought that my children would gain more if we spent more time reaching out to others. There just didn’t seem to be enough time for that. Over the last few years, Spencer and I both developed new and somewhat radical ideas about life, in part influenced by a homeschooling lecture we attended by Shannon Brooks. We wanted to do more with our lives but felt unable to pursue the kind of independence we envisioned, trapped by our mortgage. We had ideas for businesses we could build in our free time, and we hoped we could eventually sustain ourselves well enough for Spencer to quit his full-time job. But we didn’t really have enough time to develop most of those ideas, not in a way that generated a profit, so the dream seemed a long way away. What was the critical moment at which you decided, “We want something different than all that?” Can you describe what led to that? Spencer: I don’t think there was a critical moment where we decided we wanted something different. This realization came on gradually, more like a sunrise than a light switch. There was, however, a critical moment that we decided that we would do something about it. Over the last couple of years, it was the little things that kept piling up, slowly squeezing the life out of us, that eventually made us crack. The pay-cuts at work. The long hours to make a design deadline. Stressing out to make sure a batch of parts was delivered on the 11th instead of on the 13th. Pretending I cared about attending this or that meeting. Getting home too tired or frustrated to want to play and laugh with my sweet, disappointed boys. Worrying about the housing market that continued to fall, despite all our efforts to improve our house. I think we knew all along, deep down, that we wanted something different. It was just a matter of time before we would have to consciously choose between nonfulfillment or serious life change. On March 2nd, 2012 I arrived at work feeling particularly low. I booted up my computer and stared into my endless list of unread emails. A feeling of suffocation built up as I forced myself to read through one email after another. I jumped up from my desk and rushed outside for a walk. I felt powerless and trapped. I felt like screaming. I felt like crying. A couple of nights earlier Laura and I had brainstormed some crazy possibilities of just leaving it all behind and starting over. It sounded fun, the same way that flying an F22 sounded fun. I was never going to do it. How would I support my family? I was afraid. I forced myself to calm down and identify my fears. I started to think through possible solutions. Then I forced myself to picture what our life might be like if we were to succeed. The picture of success in my head was awesome. I saw us working together as a family, accomplishing goals that mattered to us. I saw us helping people, not necessarily in big ways, but in small, personal ways. I saw us thrilled to meet new friends and learn new things. I saw us living very simply to make our new life possible, but happy nonetheless. I rushed back to my desk and emailed my vision to Laura, excited by the possibility that we might actually decide to go. We let the idea simmer for a couple of weeks, and then on March 12th, we called our Realtors. We were doing it. We didn’t have any of the details figured out yet, but selling our house felt right. Laura: Early in 2012, I realized that our dream for becoming profitable entrepreneurs “on the side” was not likely to ever happen – our mortgage was just too high, and we’re really not that big of risk takers. And even if we could do it, the cost of the demand on our family would be too high – we were already doing too much. The house would have to go. My daily interactions with the boys provided clarity and a sense of urgency. We missed Spencer when he was at work, and for as long as the boys could talk we regularly discussed the reasons that daddy went to work: Mainly, that HP paid him a lot of money for his design work which we then used to pay for our house, van, food, and various other things. I began to realize it wasn’t a trade any of us wanted. We could live for far less, and we’’d rather give up those expensive things and have daddy with us. After passing a beggar on the road near our home, Zack asked if we could help him. I told him we didn’t have any food with us that time and I didn’t know what else to say. Sometimes we brought food with us that we could hand out, but for the most part we ignored the needy on the streets and my excuses seemed too lame to voice aloud. It was one of those moments I’m always grateful for as a parent, when my children reveal something about my life that needs change. I told him it was time for us to change our lives and give more attention to the needy, but I didn’t have any specific plan. I started thinking about it more seriously, but there were so many obstacles. We needed more time together so we could serve together. Self-employment became a more serious goal, but the urgency came from a new form of creative play the boys exhibited. They started pretending to go to work, and I hated it. They’d grab a lunch box and head off to another part of the house to be alone for several minutes at a time. Their work was so boring – it was all about being away from the family, not about accomplishing anything. I wanted them to look forward to being fathers and providing for a family, but not like that. There should be more to life than working to pay for a house, car and iPhone. I knew they needed a better example now, not in five or ten years. How did you decide the “what’s next” part – Costa Rica, selling your stuff, and so on? Spencer: The next steps came to us one at a time, like walking through a cave with a matchstick for light. We knew we wanted to simplify and get out of debt, but that was about it. We put a few things up for sale on Craigslist. We looked hard and long at all our finances. We talked together about what we truly wanted. We researched our options. Each day was another baby step toward a new life, without knowing where we might end up. 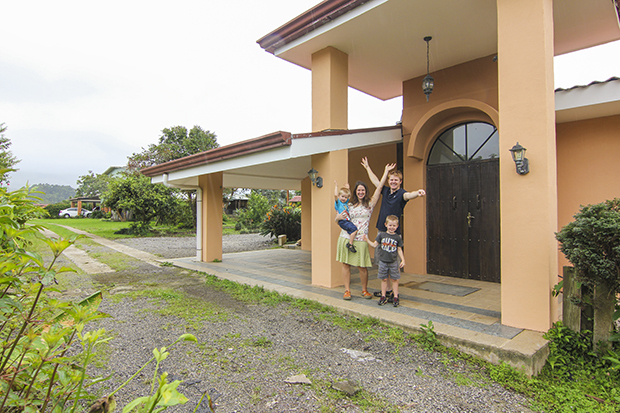 We decided on Costa Rica because it stirred our souls as somewhere exotic and new. It had a reputation of being relatively safe and inexpensive. I had lived for 2 years in Argentina, so the prospect of revitalizing my Spanish was also appealing. We hoped Costa Rica might hold some fun business opportunities because of it’s reputation as a tourism hot spot and expat retirement destination. Our adventure had to start somewhere. Why not Costa Rica? Laura: I started researching our options, but nothing really appealed to me. I knew I didn’t want this busy, expensive life, but I didn’t think I wanted a secluded country life either, at least not right now. I wanted more people, more variety, more culture, and I couldn’t think of anywhere in the country I really wanted to live (since our families are spread out). Would we be happy living outside of the U.S.? I could hardly bring myself to consider it, it seemed so absurd. But remembering that one of my cousins had moved to Argentina with her young family two years earlier, I decided to contact her about the experience. The day I heard back from her (Feb. 27, 2012) was the day we began planning our new life. Her email gave me hope that we could find safe, comfortable places to live in various countries, and at a fraction of the cost we were now paying. It rekindled in me a long-buried desire to travel the world, and made me realize that this was what I’d always wanted. I just hadn’t known it was possible. With this new vision of living abroad, several factors needed to be considered. Could we take our children abroad without feeling seriously threatened by crime and kidnapping? Would we have access to clean food and water and reliable health care in the event of an emergency? Could we afford to live in any of those “safe” places? What kind of government permission would we need to live in various countries? After only a few days of perusing expat websites and discussion forums, I became convinced that we could find safe places to live in many countries. That made the plan actually seem doable, and my enthusiasm skyrocketed. We made a list of countries that appealed to us, and I started researching the cost of living, cost of flights, VISA requirements, etc. We wanted to live places – not pass through as tourists – so we could really get to know the people and ways of living and maybe help them in some way. Besides, travel gets expensive and we would have to make our savings last. However, we learned that most countries have a 90-day limit of stay for tourists, so we had the idea of moving from country to country every three months. We wanted the flexibility to go where the wind blew us without having to haul stuff everywhere. Besides, there’s something romantic about the idea of traveling with passports, computers, and little else, and an adventure of the sort seemed like a good next step for us. Costa Rica was a perfect place to start – it’s safe, affordable, exotic, yet third world. It had the added appeal of being close to home and Spanish-speaking, which seemed best for our first foreign country. The deal maker was selling the house. We had to become free from that huge financial obligation in order to quit Spencer’s job. Once we realized we could do this and we wanted it, we made the move of putting our house on the market. Spencer: We had the goal of being completely mobile. We decided for us “mobile” meant 2 suitcases each. We started making piles of what we thought we might want to take. Whatever wasn’t in the adventure piles went up on Craigslist. We kept whittling at our piles until everything fit into our 8 suitcases. It seemed like most everything was hard to part with in the moment. But after the grueling decision had been made and it was gone, we found that we didn’t really miss it. We miss our dog. We miss our cars. Laura sometimes misses her Bosch mixer when mixing or chopping by hand. Sometimes I miss my mountain bike. Sometimes we miss our ducks. But for the most part we don’t miss much of anything, despite how difficult it was to get rid of in the moment. Actually, I find the opposite to be true. I am glad to be rid of it. Stuff is heavy, both physically and emotionally. Now that it is gone, it is like a burden has been lifted. I think our house was the hardest to part with. I had a love-hate relationship with the house. On one hand, the house was very much a part of us. So many memories, so many careful hours crafting it to our design. On the other hand, the house was an intense drain on money, time, and effort. There was always something to worry about, always something to fix. We do miss our fruit trees, our blackberry bushes, and our big, carpeted playroom. But for the most part, we are relieved to be free of the hindering responsibility of a house. Laura: How much did I love my stuff? This was the second big question I dealt with that first week (besides “Can we reasonably and responsibly move our family to a foreign country?”), before I was sure I wanted to do this. Until that point, I had never considered myself materialistic. But as I walked through my house looking at everything, I realized I was seriously attached to the stuff, and I wasn’t sure I could give it up. Besides the monetary value, I had a history with everything in my house. I’d saved and bargain-shopped to buy it, I’d cleaned it and found it a place to belong, and I’d made it useful or fun for my family. The idea of giving it all up seemed like a huge loss, but it didn’t make sense to keep it all if we were going to country hop. I had to choose one or the other. Spencer and I did some serious soul-searching. We asked ourselves what our lives were for, and what we wanted most for ourselves and our family. The perspective I gained diminished the value of most of those things I was so attached to. I realized that most of them could be replaced with money, and if I ever wanted or needed them again I could get them. I also realized that I had a lot of things just in case I ever needed or wanted them, while there were people who needed and wanted them now. As the days passed, my attitude toward my things changed and I began to feel liberated. The whole process was very interesting. Soon, it seemed like a gross contradiction for me to keep it all, and that became my secret to success. I made it a goal to find the right people for each of my things. If I could find someone who wanted something of mine as much as or more than I wanted it, then it felt like a win instead of a loss, and I actually grew spiritually as I experienced a new kind of generosity. I don’t miss my things as much as I expected to. Who needs a Bosch Universal Mixer when there’s a delicious and cheap bakery just down the street? I miss the variety of foods and spices that used to fill my pantry. I miss our bikes – maybe we’ll buy some here. I miss our animals, but there are dogs and chickens and cows aplenty here, so it’s not too bad. How much would you say you sold altogether? What did you do with the money? Spencer: We made about $9000 from the stuff we sold, and another $10,500 for the cars. Most of this money went into savings to carry us through on our adventure. We did end up spending about $7,000 on the stuff that would enable our new lifestyle, as itemized on our Tool Box page. Tell us some more about the actual sales process. Where did you primarily sell? Any particular horror stories – or wins? Spencer: Most of our big sales were made via Craigslist. Several times we set up our entire house as a store, where everything visible was for sale, but these whole-house-garage sales weren’t too successful. We didn’t advertise well, and not very many people came. About $800 came from these garage sales. The rest was from Craigslist. Selling stuff was much more a chore than either of us anticipated. It was such a pain, in fact, that we ended up giving many things away. We focused our energy on the bigger-dollar items, way too overwhelmed with the prospect of trying to sell everything. My favorite win was selling my mountain bike on Craigslist to a guy named Devin. Not only was he the perfect home for my beloved bike, but he also put us in contact with his sister, Andrea, who moved to Costa Rica a few years earlier. As it turns out, Andrea and her family are some of the nicest and coolest people we have ever met. They even led us to the house we are now renting from the wonderful Mora family. I’m thrilled to look back and see how something so small, like selling a bike on Craigslist, can be the beginning of something so big, like life-long friendships. Our biggest loss, by far, was our house. We bought it in October 2008 for $295k. We invested $30k and thousands of hours improving it, and sold it in June 2012 for $256k. This was certainly not the best feeling, but we recognized our situation as a classic case of sunk costs. We knew it only made sense for us to consider the costs and benefits going forward, not the money and effort we had already invested. Laura: We were fortunate to find excellent Realtors who helped us sell our house very quickly, which we absolutely needed for this to happen. Something else surprising and fun was how much I enjoyed meeting people through craigslist. It seemed like nearly everyone who came over was excited about our plans. These new, fleeting friends added a richness to the otherwise mundane job of selling all our possessions, so much that it felt like our adventure began three months before we actually left the house. Now that you’ve made this huge change, you’ve done some pretty amazing things. Talk about your life now, and what you guys are doing! Spencer: Our life is pretty different now. I thought it would be weird not rushing to a cubicle every morning, but I don’t feel nearly as out of place as I thought I might. Of course, I do have several projects keeping me busy, which affords me a sense of purpose, despite being jobless. We are still trying to find our groove. We’ve been in our new house for a month now, but it still feels like we’re getting started. As the days go on we are finding our rhythm for shopping, homeschooling, working, cleaning, exploring, and everything else, but to be honest we feel a bit disorganized and overwhelmed. Every day 100 ideas and possibilities pull us in different directions. The sheer quantity can be a bit paralyzing at times. Draw closer as a family. Encourage and help other families to draw closer. Stay mobile to go wherever we feel drawn. Teaching free English classes for adults and children at the local community center with a blend of literature, music, games, and science activities. The hope is to video some of these lessons and activities and post them on our Baby Scientists YouTube channel for others to enjoy as well. Laura is a fantastic teacher, so I’m excited to see how this evolves. 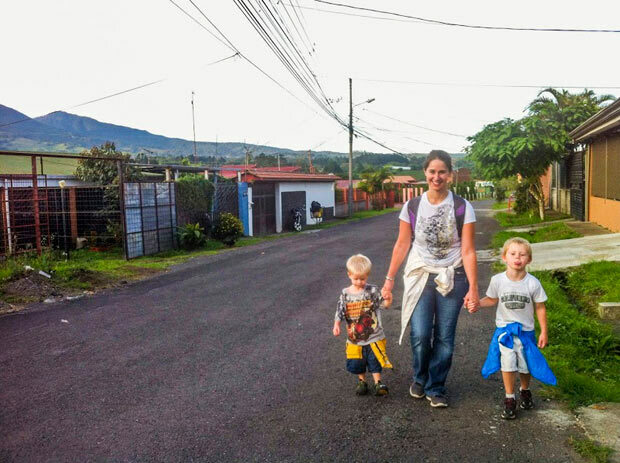 Exploring Costa Rica and sharing our adventures on lostandfoundfamily.com. The goal is to create a fun and useful travel resource for an authentic cultural experience that just can’t be had at the bigger, more touristy resorts. Writing and illustrating children’s stories with my talented brothers and cousin and sharing these on our new website, brotherswhim.com. This has been progressing slower than I would like, but I am very excited for the potential of what this could become. I think stories are a fantastic way of teaching and understanding truth, for adults and children alike. Learning about effective, natural ways to be healthier and sharing these on Laura’s new website, mommybynature.org. Laura has learned a lot about essential oils, and uses them everyday for everything from cleaning, to reducing fevers, to relieving headaches, to treating bee-stings, to clearing acne, to removing warts. I think Laura can do great things with what she is learning about natural health. Laura: Some days seem pretty much the same as before – I cook, we eat, the boys laugh and play – but even regular living is more relaxed now. Instead of dreading grocery shopping and struggling to squeeze it into my schedule, I look forward to those walks into town. I have time to let the boys help me in the kitchen and to invest one-on-one time teaching them how to do chores. Speaking of chores, there are a lot less of those since we have so much less stuff, which gives me more time for reading and playing. I have a low-maintenance garden. We enjoy keeping up family relationships through Facetime and Google Hangouts, similarly to how we did before except maybe more frequently now. We’ve taken steps to begin teaching English classes in our town center. Some days involve mostly work, while others are all play. As we become more settled here, we’ll play even more. It’s beautiful here whether we’re hiking through a rainforest or our own backyard. What’s more beautiful than the scenery is the new friendships we’re making. We keep meeting incredible people who invite us into their lives and homes and make us so happy we made room in our lives for them. How do you feel this trip has changed your family’s relationships with each other? Spencer: Before leaving on our adventure I saw my boys for about 3 hours per day. Now I see them for at least 8. I love the flexibility of being able to work for a while, and then to immediately transition to playing, or cooking, or eating with them. I feel more connected to my wife and boys than I ever have before. I love working together with Laura on projects that matter to us. I love tag-teaming the boys with her so that we can both accomplish more. I love falling in love with her more every day as we connect more deeply by working together toward common goals. I feel like we’re a team now, and it’s an amazing feeling. Laura: From that fateful day at the end of February, Spencer and I have enjoyed a new kind of closeness. When you consciously and jointly choose to put your spouse and children first, a new kind of trust is born. It makes you brave. It makes you giddy. Spencer and I are learning to work together at a whole new level than we did before (and we made a pretty good team before). We’re still adjusting to our new roles, but our relationship is already stronger and I can see it becoming more so almost every day. It makes me reminiscent of a similar decision we made early in our marriage, almost exactly eight years ago. We were newlyweds as well as full-time students working part-time jobs, but we decided to quit our jobs so we’d have more time for each other. For years we looked back on that decision as the best we’d ever made (besides deciding to get married), and I think we’re going to look back on this decision in a similar way. What’s the single biggest difference in how you feel now vs. before? Spencer: Now I feel like I have control over my life. Before I didn’t. I love waking up and working on what I want to work on because it matters to me. There is an inner sense of peace and power that comes with being able to do this. Laura: I feel more. More purposeful, more enthusiastic, more alive. I was happy, but I’m more happy. I had hope, but I’m more hopeful. I feel more love within my family and with God. What’s the single biggest struggle you have now? Spencer: Adjusting to not having a car is more difficult than we anticipated. But every day we learn a bit more of which bus goes where, and where to buy what. It’s hard, but I feel like it is a good, character-building hard. If we could afford a car, we’d get one. Until then we’re making do with the buses. Laura: The language! I am familiar with Spanish but not yet able to interact much with others on my own. It makes me more dependent on Spencer than I’m used to, and it’s harder for me to get to know my new friends. Where do you see your family going from here? Spencer: I suspect we’ll have the travel bug for another couple of years to come. Maybe Bali, maybe Malaysia, maybe Ireland, maybe we’ll stay in Costa Rica. We don’t really know. I am pretty sure we’ll eventually end back up in the United States close to family, but we have no idea what the future might hold. Pretty exciting. There is a whole world of possibility out there. Laura: Originally, I thought we might country hop for three months at a time with occasional trips back to the states. For the most part, I have the same plan in mind except on a different time frame. Three months isn’t long enough to get to know a neighborhood. We signed a six-month contract at this house, but I think even that will be too short. I’d like to do a mix of visiting a few places for a few months and then settling somewhere more long term before moving around again. I’d like to experience a variety of places such as India, Ireland, Alaska, and Singapore, not to mention other regions of the U.S. We might stick to Spanish-speaking countries for a while, then live in some French-speaking countries intermixed with English-speaking countries so we’re not constantly stressed out by new languages. What one challenge would you give to Man Vs. Debt readers – something they should do today or this week to get closer to living their dreams? Spencer: Ask yourself every day what you truly want. Have it written down and look at it every day. Maybe this list is 1 item long. Maybe it’s 50. Maybe it’s the same list for 20 years, maybe you tweak it daily. However you do it, don’t let a day go by that you don’t come face to face with the question, “What do I want?” Without knowing that, chances are, you’ll be running in the wrong direction. Know your Happy. Chase your Happy. Laura: Think about what you do with your life – what matters and what doesn’t – and drop one of the doesn’ts. Any parting words of advice for our community? Spencer: We’re way too inexperienced at all this to be giving advice. I guess our advice would be for others to jump into their dream where they shouldn’t be giving advice either! Hearing Spencer and Laura’s story reinvigorated me in a way that’s hard to describe. I’m a fellow job-leaving, homeschooling, wanting-something-different type, but I think it’s more than that. I think their teamwork is what really stands out. Are you willing to figure out what you really want – and to drop a “doesn’t matter” so you can go for it? Who’s on your team who will help you make that happen? You Only Have One Shot, So Ultimately, What Do You Want To Do? Great story! Congratulations guy on taking the leap. Costa Rica is a nice destination to do so. You all look so happy. We’re so glad we did take the leap, as scary as it was at first. Of course, I don’t think I could have done it alone. I needed Laura. Love your story! I’m hoping one day to do the same. Thanks! And we would love to hear about your story when you do make the leap! Hearing about others chase their happy gives us hope and energy. I feel inspired! I’m in the process of removing big junks of stuff in my life that make it difficult to live everyday. The weight of “stuff” just gets to hard to carry and I find myself wasting time trying to manage it all. I think the idea of living with less is catching on and your story confirms that it is totally do-able. I look forward to following your blog! Thanks Susan! Yes, we were so much happier after freeing ourselves from the burden of stuff. Stuff is awesome, but not so much of it! Whittling it down to the most useful, appreciated essentials is a difficult, but rewarding journey! I so loved this story! My husband and I have been dreaming about a different lifestyle for our family, as of Fri. we were forced into making some serious decisions. He was laid off- and i think this has turned out to be a awesome opportunity! We have been wanting to travel the U.S. with the kids being a full time RVing’ family and working at different camp grounds part time to make ends meet- this article has inspired me to think bigger! Sorry to hear about your hard times, but ecstatic to see your awesome attitude! We would love to hear what you guys end up doing! Carpe layoff! Perfect timing! Very gutsy move and thanks for the inspiration. Also thanks for your in-depth story Laura and Spencer and kids. My wife and I just downsized from an expensive apartment in Marin County, one of the most costly places in the U.S. to live. We bought a small mobile home and are having to downsize to fit what remains of our stuff into our new home. Your story gave me more than hope; it gave me a vision of how we might want to shape our lives in a similar way. The difference being I’m 73 and my wife is 50. She’s from Colombia and your “Spanish-speaking orientation” spoke to us as my wife is obviously fluent in Spanish. We have a friend who is currently living in Costa Rica and the Costa Rican government just hit her up for $60K to invest into a Costa Rican CD or something that indicates her commitment to the country. Those are my words. I’m not sure of all the details. I just thought I’d pass that along in case you don’t already know about something like this. Thanks again for the vision. We’ll be following you guys. Muchas bendiciones en sus viajes (Just so you won’t feel intimidated by my apparent fluency, this is thanks to Google translator! Thanks, Bert and Janeth! May you find the life of your dreams! Pura vida! Thanks for the reply Spencer. I love getting to hear stories like this!! I wish you only the best, and am thrilled to have a way (your blog) to learn more about your family and adventures! Our family is working towards similar goals, the difference being that we live aboard our sailboat! Our goal is to spend the next couple/few years working to get out of debt so we can spend more time traveling! Awesome, Regina! We’d love to hear about your adventures as well. Hearing stories of others chase their happy inspires and energizes us. Stay in touch. I definitely will keep in touch! I’ve been reading/watching your blog since I read this, and it’s been so much fun getting to see another family on an adventure! Thanks so much, Vincent! I love what you said about the big fear being to live with regret. Love this story! How inspiring! We have a similar dream, ours is figuring out how to make a living working from our laptops and then get a wvo rv and travel all over the country every summer when the kids are out of school. The precursor would be to waaaaay cut down on the clutter in our home of course and sell tons of stuff to make room in our lives for more peaceful surroundings Soon! Thanks, Leah! Best of luck to you and your family as you take those steps toward your own dreams! Enjoy the journey! We did the same type thing about 9 years ago. We sold everything & traveled the USA in a motor home. We did not have the option to go overseas because we had animals, and unlike you, I do not feel that animals are disposable things that you just dump so you can live the “life of your dreams”. You get an animal, you make a commitment to take care of it for the rest of its life. While I am happy to hear the family is enjoying Costa Rica, I urge you to never again take in an animal unless you are ready to make a long-term commitment. I understand your concern. Don’t worry. We didn’t dump our animals in the gutter. We found great homes for all of them. Beautiful new homes with large properties, peaceful private lakes, and tremendously tender, caring owners. We made certain our animals would be well cared for. Wow–This story is an inspiration. My husband and I have been in the workforce for 10 years now and it’s taken a toll. Layoffs, company cuts, and stress…just to buy more “stuff”. It seems silly. I love your story and am excited to follow you and your success. P.S. I commend you for following your dreams, despite having animals. I am sure the animals were a blessing to another family and giving them away was a blessing to yours! Yeah, isn’t that “stuff trap” sneaky!? Hey, you probably mentioned it, but where exactly in Costa Rica are you living. Myself and three others are bicycling through Costa Rica in the next month. If it is close to you, I would love to meet up. We have camping supplies, so maybe we can set up in your yard or you can direct us to a safe place. Hey Josh! Yeah, we’ve been following you on Ride to Rio! We’d love to have you guys, if you can swing by. We’re in San Luis de Santo Domingo, Heredia. If you email me I can send you a map of exactly where to see if it works for you. Wonderful and inspiring article! I’m most curious about how you manage health care and insurance. Our original plan was to go without insurance and pay out of pocket for health care down here, which is good and affordable. However, we have become increasingly uncomfortable with the risk of some major tragedy. We’ve been looking into insurance coverage to mitigate the risk of major medical expenses, and we’ll be posting an article on our findings soon. Hi, yes. That is question I wonder on too, and VISA and so on.. :)? Hi, Nicko. You can fly into Costa Rica without requesting a VISA a head of time. They automatically give you a Tourist Visa which is good for up to 90 days. A lot of people live in Costa Rica as “permanent tourists,” leaving every 90 days to get a new stamp and reset their visa. I’m still not perfectly clear on the rules for leaving. I’m mostly sure that there is no time requirement, just leave and come back. A lot of people say there is a 48 or 72 hour requirement, but I have heard from others that this is only if you are carrying merchandise across the border. We plan to use the 90 day VISA runs as an opportunity to explore Nicaragua and Panama, so I haven’t been too motivated to look into the specific time requirements myself. Very inspiring story, this gives us more courage to follow Spencer’s path and to work forward attaining our wealth desire. I want to congratulate to Spencer and his family for living in their dream life and having relax life in Costa Rica. Thank you, Walt! Go for it! Can’t wait to hear how everything works out for you! Inspiring stuff, we did something very similar and went travelling, living in Turkey, Berlin and Thailand before returning to the UK. The process of selling stuff was fantastic, as it really showed what was important to us and why. We were in the fortunate situation to having paid off the mortgage before we went. However since returning we’ve sold up, bought a forever home in a perfect location for us (again mortgage free) and are now focused on what we want to do and the direction our lives. I think it’s important though to see that you are young and can resume life back in your home country and start again, travel is fantastic for children, however so is stability. Moving children when they are in their teens can have long term effects. Long term friendships are vital at that age as is being in a school. When I was at college and university there was a distinct difference in how the children who were home schooled behaved and acted. All the best with your travels. Great thoughts, Jonathan. I really resonate with your ideas about starting again in your home country and enjoying some stability. For now we are in “adventure phase,” and I think it is good for us. We have been considering Thailand as a possible future home. How did you guys like it? Thailand is amazing, it’s best to go from November to February for being out of the bad weather seasons, I have family in Phuket, so if you need a contact there they’ll be very welcoming. ‘Adventure Phase’ is great, we’re planning our next one for 4-5 years time when my partner has finished some training. Planning to live in Germany for a year or so. You can find me on facebook if you want to chat further. Inspiring story. My husband is leaning towards what you are doing especially the selling all the crap par tan being mobile with just two suitcases. I sure hope I find the strength after reading your story to just take the leap! An interesting side note about our human psychology – we usually have less to loose and more to gain by taking a calculated risk than we usually think. Our mind tends to over-exaggerate the risks and minimize the possible rewards, for some reason. List your fears of “taking the leap” – your worst-case-scenarios. One by one, address how you might mitigate those fears. Now list the best case scenarios. One by one, plan for how to make these actually happen. And remember. It’s just stuff. You can always buy another one. The years of our life, unfortunately, are not so replaceable. Hola Spencer, esto es una historia muy interesante! Cuando ustedes van al Panama para su visa, si tienen tiempo, ir a Isla Boca Brava. Es muy hermosa! How have your kids faired with moving to such a different country? My wife and I took the plunge and traveled for 6 months and relocated to the UK to work from Canada. I’ve always wondered what it would be like to undertake such a journey with kids in tow! I’ll definitely check out the blog for more updates. Gracias, Andrew! Si, nos encantaria pasar por Boca Brava. Gracias por la recomendacion. At first the kids clammed up with all the change. They were noticeably more shy and irritable. But at the 2 month mark they really started to open up. I would say they are doing fantastically well now. They are expressing interest in learning Spanish, they love riding the bus, they’ve made some good friends at church, they love our adventure trips. It is certainly more work undertaking a journey like this with kids, but the rewards are indescribably sweet. Wow, what a wonderful story of Spencer and Laura’s adventure to Costa Rica. Thank you for giving us inspiration and hope to escape the rat race. Awesome and very thorough post. Thanks for being so upfront about your reasons for moving to Costa Rica and what you’ve gained by being here. Your story is inspirational and has plenty of nuts and bolts/how to advice for people considering making a similar move. Keep us posted as you continue your adventure. Oh, that’s cool! Hope you have a blast. Wondering how you feel about safety – you mentioned it in your article about where could you go without fear of child kidnapping, etc…Have you found that 100% there? I’m also interested to know if where you are at if there are schools, etc? Thank for you the great article! Overall, we feel pretty safe. We’ve been here 8 months without a single negative experience. I would consider our approach pretty adventurous as we’ve really made an effort to reach out past our comfort bubble and meet new people and places here. That said, I would add that staying safe is a conscious effort. We pay a lot of attention to where we are and how safe we feel, constantly re-assessing the situation and making quick changes if the situation feels sketchy. We don’t walk around with our cell phone or cameras out. We don’t stroll down unfamiliar neighborhoods at night. We ask the locals for advice on how to stay safe. Oh, and we are homeschooling, so we’re not much help on the school question. But we have friends from the US who send their boys to Lincoln School, a nice private school, who are very happy with it. We never tried for residency. The bureaucracy battle didn’t seem worth it given our situation. I hear that a lawyer is a great investment for getting residency. Since we’re here on tourist visa, we just play the ridiculous game of leaving every 90 days and make the most of it. You’ve mentioned it a couple of times but what is the 90 day leave and come back – how does that work? I understand the 90 day limitation in most country, but do I just need to leave for 24 hours and come back? thank you for your above comments about safety and school – we homeschool now as well for flexibility. thank you so much for all your tremendous input and advice. My family and I are exactly in your situation when you started. It all falls in perfect alignment. Searching for a warm place where we could just BE…Costa Rica showed up again and again. Thank you for your story, it brings excitement and peace…looking forward to our new journey also! “Know your happy. Chase your happy.” I think those might be my new words to live by. Thank you! You can disregard the question about the VISA/passport stuff. You’ve already answered it multiple times I can see (I finally had time to read through more of the questions and responses) and we’ve learned more on how that all works. If you guys are up for emailing me directly that would be awesome. 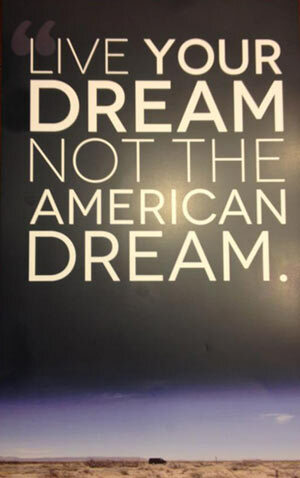 Keep livin’ the dream!! Glad you figured the VISA/passport stuff out. That’s always a tricky one. Sure, you can email me anytime. Although, I am not familiar with the Cabuya area. Great post about a family who took a hard look at their situation and made a change for the better. It’s great to see that even though they didn’t make out financially on the house, they are still happier than they could have ever imagined in Costa Rica with a life with more freedom and hope. I have just one question, and it relates to my big fear of doing something like this for our family of six. How do you make a living on a day to day basis? How do you pay for housing, food, and essentials? Being a father and having been working for years focusing on keeping money coming in, this part of the adventure is what I can’t conceptualize. Maybe I am being too small minded. Nice story for a perfect little family who has all the resources to pursue their dreams. I am a single mother with two kids, very little money, with your very similar dream. Great advice for people who made 6 figures a year to be able to see their dreams through-so what advice do you have for the other 99%? Im not sure if you are still in CR but I have had a dream since my two year mission to spend time in C.A. working/Serveing the locals with my dental skills. I am married with 5 kids and am looking for a safe place we might want to spend the next several years living. I am nearly out of debt with a successful practice here in AZ but really like the idea of giving my children a one of a kind childhood. What is the best way to download as much of your experience as possible? Thanks for this wonderful read! My husband and I related to your story, as we too in February sold our home and all our furniture and crap, bought an RV and began our adventure travelling around North America. 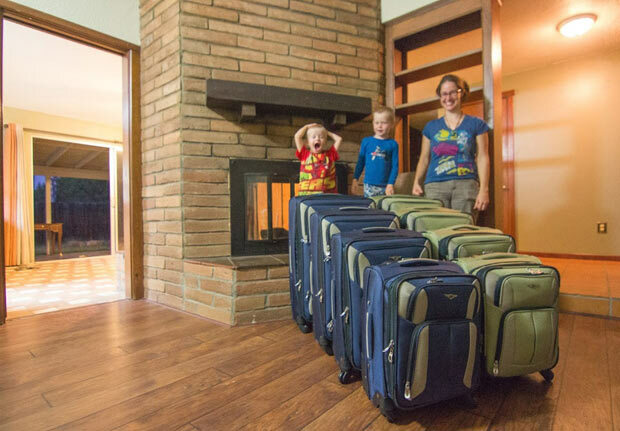 We recently decided to sell our “home on wheels” and start travelling overseas with our three children. Costa Rica has been on the top of our list of places we would love to live. Any advice or tips you have for us would be greatly appreciated. It’s so inspiring! I admire your courage to take such a big step wit two young children. I’m still not sure about our move to other state, and what about a move to Central America, I just can’t imagine it. You seem to be so happy guys! May be it’s time for me and my family to take our big trip too. Thank you for the inspiration! My boyfriend and I are thinking of moving out of the States and to Costa Rica. I loved this article, it answered a few questions that we had. One big thing was the language barrier, I took 4 years of Spanish is high school but that was 5 years ago! did you know how to speak Spanish when you moved there? I had a question though, was it difficult to find housing that is affordable and a job? We would like to explore for a while before starting work but work is important to continue living anywhere! We are also want to start a family some day just not sure if here is the ‘right’ place for it, it seems like all we do now without children is work work work. We would like to have a slower pace of life and enjoy our children and explore with them and give them a great life. What cities would you suggest are ideal for raising kids? Hello Spencer! I don’t know if you know the answer to this question but I thought I would give it a try. My family and I plan to move to Costa Rica for one year or more in June. We have three kids aged 16,9, and 2. We were wanting for the two oldest kids to attend Iribo. Iribo is a private school in San Jose. We are a little bit uncomfortable with going for the rentista visa because we would have to take out a certain amount per month. Would our family qualify for a student visa because of the two older ones? even the 2 year old? Thanks for any help that you can give us! What did you do with your dog? I really really hope your dog wasn’t a part of the Craigslist purge…. I’m so happy to read your story! Very inspiring. My children are older (16, and 10) but I think they would benefit from moving to Costa Rica which is what I want to do!!! Thanks for sharing!